All Georgia has been talking about for weeks now is Christmas. You might remember how last year I took her to a Christmas party for dogs in Prospect Park (ingeniously called ‘Bark! The Herald Angels Sing’), but it was a bit cold and wet, and we had to queue for ages to meet Santa. Thankfully this year I discovered a warmer, calmer, saner way for her to get her Santa fix – and it just happens to be in my neighborhood in Brooklyn. 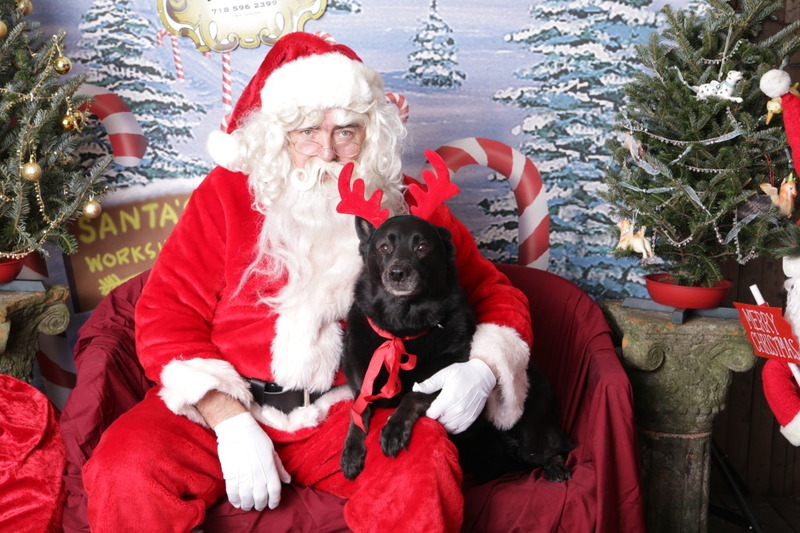 …although she didn’t look too happy to be wearing the antlers. 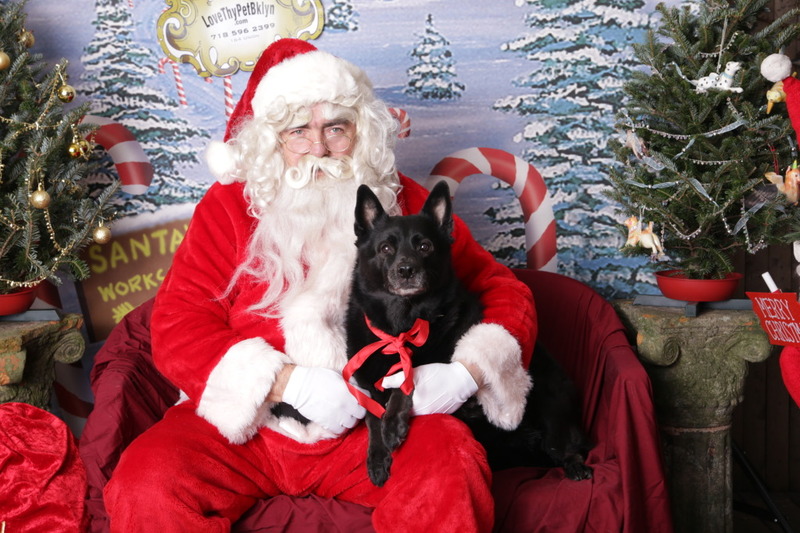 She was such a good girl that we were only in Santa’s den for a couple of minutes before we were all done. I bet he gets covered in pee or slobber by some very uncooperative doges, so I left almost teary with pride at Georgia. (Ryan takes all the credit for training her so well.) 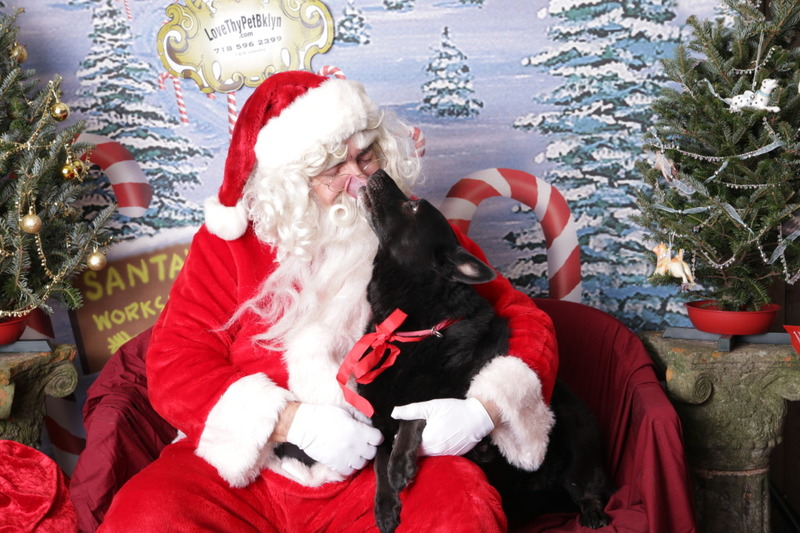 Santa will definitely be bringing her some good treats this year. 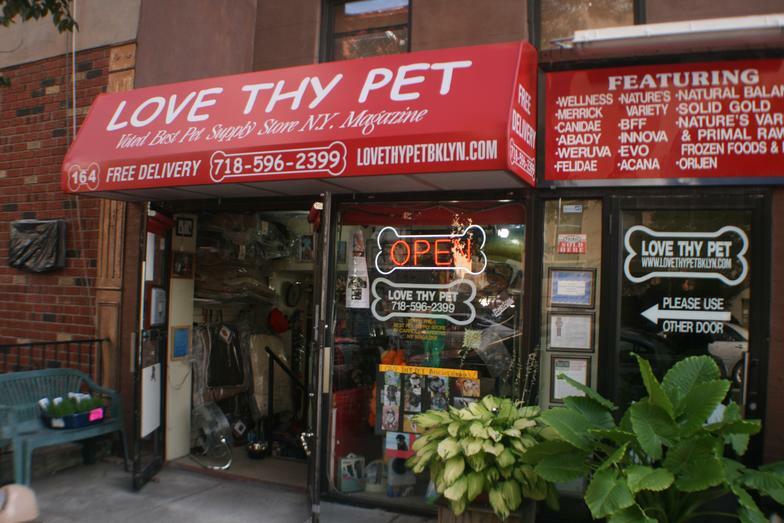 Love Thy Pet is a lovely little pet store on Union Street and Henry Street in Carroll Gardens. Some of the prices are a little higher than in other places, but they have such an extensive stash of treats (and Christmas gifts) and a very friendly cat. Plus I always feel a bit better about supporting a small local store than going somewhere bigger. 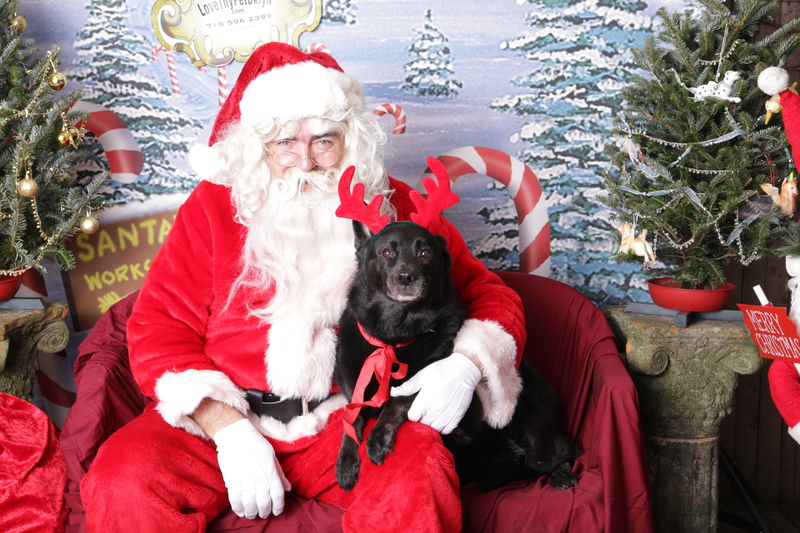 Each year, over two Saturdays in late November and early December, the shop hosts their free photoshoots with Santa. In October, there’s a Halloween photo shoot, too. Pet owners can sign up for a five-minute slot and after the shoot, they email you the pictures within days. If you do fancy ‘Bark! The Herald Angels Sing’ – the dog event I went to last year – it’s on again in Prospect Park this year. 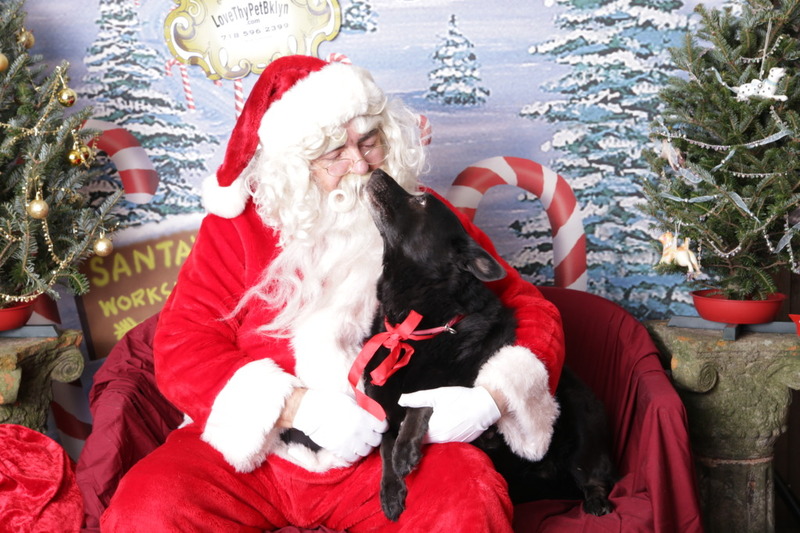 Head to the Picnic House this weekend (December 13) between 8am and 10am for photos with Santa and doggy treats. More info here. What a gorgeous girl! 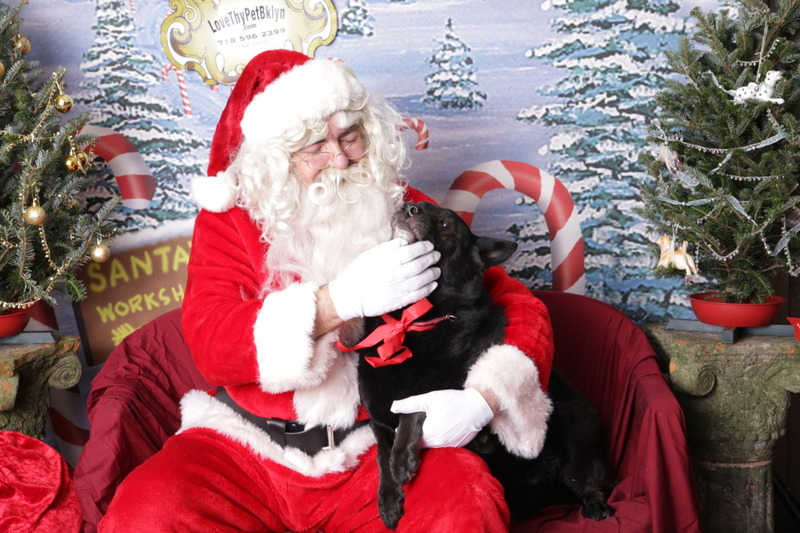 (I talk about my Gillman constantly and also have no shame;-) I love that this pet store does the photos for free, what a great way to establish a loyal customer following!